Managing your finances can be a strain and in today’sever more complicated financial world it can be easy to loose track. Many everyday consumers find themselves struggling to even monitor where their money is going. Credit cards, mortgages, checking accounts, savings accounts, investments… the list goes on. You know it’s all going in and out of your account(s) but it takes a lot of time and investigation work to find out exactly where and how much. There is an easier way to control and manage your finances than trawling through various sites to check you individual bills and commitments. You can pull together all your financial commitments in one secure and manageable environment at a site called Mint.com. Mint allows individuals to control their personal or business finances in a streamlined and simplified hub page. It’s completely free and so allows you to manage your finances without taking anything away from them. It is completely secure using the same security standard as major banking institutions. You can set goals on Mint which is a great feature that doesn’t come easily to individuals if they are managing their finances by themselves. If you want to save a certain amount by a certain date you can do that with monthly savings targets. There is also the feature to set alerts for when bills are due. This feature is a great help as it’s all too easy to forget a bill if your life is busy! Another great feature of Mint.com is that it tracks your spending and money management and recommends potential savings you could make. 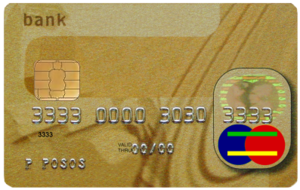 For example if you are paying a certain amount each month on your credit card mint may recommend switching to an alternative credit card you qualify for that has cheaper interest rates. The advantage of having this technology is that it’s like having a financial consultant that works for you 24 hours a day. It tracks, monitors and analyses looking for improvements and benefits that can give you more savings or control. All the sites recommendations are unbiased and are in the interest of the customer not the company offering the services. Seen as how the ethos and purpose of Mint is to make life easier for financial management it also has mobile apps. You can use the same features as the website through your iPhone, iPad or Android powered device. This means that even if you are travelling on business or have a chaotic week you can keep up to track with bill reminders and avoid costly missed payment penalties. As it’s a FREE service it can really do no harm to your finances. The features available if done by yourself would take considerably more time and effort. The real advantage lies in being able to analyse your different finances simultaneously.Having this control really gives you a better insight into the overall picture. Now go and freshen up your finances with Mint.